In 2008, on Lil Wayne's long-awaited follow-up to Dedication 2, rap's most important figure opened up the gates for others to follow in his footsteps. He'd already made a career, and a ton of fame, out of commanding his fellow artists' beats and making them his own. It was time to see to it that his growing collective of prospective talents in Young Money could replicate the blueprint that he'd set. So he introduced Drake, a rapper's rapper – a stark contrast of the declining yet popular dance rap purveyors of the time. Better yet, instead of outright introducing the fellow, Wayne hopped in the passenger seat and threw him the keys. "Stuntin" was his first introduction, with a slightly corny and outlandish verse setting the foundation of game dominance for years to come. Drake became a household name on Degrassi, but that was never to be what he's remembered by. He transitioned from film to music as smoothly as a Swiss Army Knife changes between blades. And the release of a couple of highly acclaimed projects, combined with an impressive array of vet support, strengthened his relatively lax resume. In a short period of time, he was rap music. All paths flowed through him—whether he served as featured artist or the blueprint for other rappers to follow—and he catapulted to elite status relatively easily. As French Enlightenment historian Voltaire so eloquently said in 1778, "With great power comes great responsibility." The historian was referring to the concepts of ascendancy and obligation in government, deeming the separation of church and state a necessary action. Drake's career post-elite threshold strikes this point. He came in on a low tier, eager to prove his worthiness like tons of other emcees. Instead of squandering around with unnecessary detours and restructuring his sound, he threw himself at the wall and stuck. After mastering his sound, he explored the rest of hip-hop, finding other acts to give the push that Wayne gave to him back in 2009. Through this, he began his tenure as captain of the genre and, to this day, still occupies the role. His cryptic early 2011 tweets (remember this and this?) were revealed soon after to be lyrics from fellow Toronto artist The Weeknd, who specialized in warped, distorted R&B. Seeing the difference between the singer's stylings versus the pop-heavy, traditional style of R&B of the current time, Drake's camp immediately enveloped the young artist. With his support, The Weeknd's brand grew immensely; at one point, it's probable to say that he surpassed him in sheer popularity. Like sunlight, his presence altered the horizon gradually, leaving little semblance to the R&B field that was before. Alt-R&B that resembled the unpredictability of neo-soul grew in popularity over time, giving space for Jhene Aiko's own visceral, muted releases. Through her, SZA's stylings further pushed the R&B envelope in new ways, showcasing the full spectrum of women's sexuality without boundaries constructed by male-driven society. When Drake hopped on Migos' breakout hit "Versace" in 2013, fans were initially bamboozled. What's an emotional rapper doing on 808-heavy production that's bog-standard compared to the ambient creations of his in-house producer 40? Better yet, who are the three dread-headed, gold-chain adorned artists spitting rapid flows right after him? What's this fast-paced style of rap that occurs in triplets? 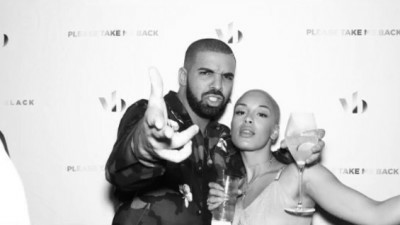 The song became Drake's first viral collaboration. One think piece after another was created—not about Drake, but about Migos and their unique style of rapping. It proved to be more than a party trick; soon, much of the industry's artists would adopt the style as their own, often not paying homage to where it originated. While Migos, outside of journalists, never really got the respect for creating it like they deserved, Drake's stamp of approval opened the floodgates for one success after another. The triplet flow that hip-hop adopted was largely abandoned by the trio for more traditional flows. Over time, the narrative that stuck with them was that they just made good music on a consistent basis. Their outrageous fashion styles and pounding trap production choices have given way to a lush, envelope-pushing aesthetic that continues to shape the game. Kodak Black released his viral hit "SKRT" in 2016 to acclaim from fans of his street-centric, honest style of rap, similar to Plies before him. The song itself was moving, even if allover the place in regard to particular subjects. 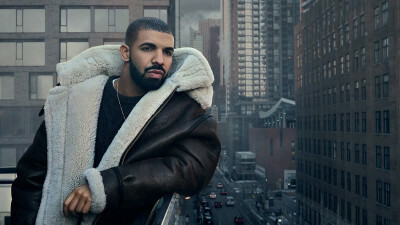 Drake caught wind of the song and, in a rare show of silliness, recorded a video on a private jet while dancing to it. Of course, that's all it took for Kodak's career to jump three tiers, firmly placing him in the race for dominance. His success has placed a spotlight on traditional goon rap and its absence in a genre filled with drug-fueled lyricism. Now that he's a certified star, others have looked to his success as a calling card for change in the industry. These aren't the only instances of Drake flashing his mastery of the game's politics and his place as maestro. He's been instrumental in the success of everyone from Kid Cudi to Skepta. He specializes in finding something vastly different than his own style and giving it a push so that the game changes. Often times, through features and endorsement, he stands behind it as if to show that he's the architect of the game. His ear for new sounds makes the game function the way that it does. His actions forge hip-hop's path. It's rare, if even heard of before, that one artist influences the genre this much. Not even Lil Wayne before him worried about much more than himself. When he pushed Young Money into the spotlight in 2009, it was a conscious attempt to be selfless, to ensure the growth of the label's brand over anything else. Every rapper who helmed a collective or label prior to that worked more orless on the same thing. JAY-Z's work with Roc-A-Fella artists like Beanie Siegel and Memphis Bleek exhibited a similar belief: it's us over anyone else. With Drake, that's what makes what he's done so special. Often times, he gets no financial compensation for discovering new talent and giving it spotlight. He does it just to shake the table, to bring something new into the discussion. It's why conversations about him being a "culture vulture" often fall to the wayside. He's a consumer, much like the people who listen to music on streaming services. When he finds something he likes, he wants to see it through. This usually involves giving them the push that they might not usually find because he's in the position to change their lives. When he's instrumental in game-changing talent, it alters the course of hip-hop's narrative as he sees fit. A quick look at some of the game's hottest rising faces will show Drake's shadow somewhere in the picture. He's worked with up-and-comer Trippie Redd on a couple of releases which will surely spotlight the eclectic melodies the latter incorporates in his music. BlocBoy JB is perhaps the most recent beneficiary of Drake's ever-changing ear, with the latter providing him a Project Pat-inspired verse for his magnetic hit "Look Alive." 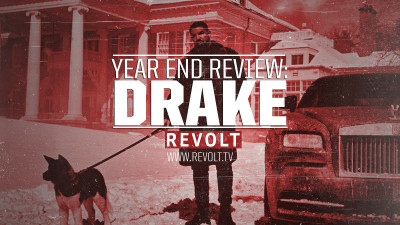 Both aforementioned artists bring unpredictability into the mix, and that excites Drake. They aren't threats to his own brand, but that doesn't matter. He's constantly looking for the next thing. Anyone could be it; all it takes is creativity to capture his interests. That creativity has inspired Drake for almost ten years now. He continues to rap and carve a lane for lyricists of the highest degree, but he's equally as impactful out of the booth as he spotlights talent he deems worthy. Through this, he alone plays a tremendous part in shaping how hip-hop grows, and he has for nearly a decade. The talent he gets behind typically always become household names for different reasons, but who they inspire always changes the game. And at the end of the day, that's what hip-hop has been about for decades. The constant innovation and growth of the genre unknowingly appoints directors who manage its aesthetic at the greatest level. The latest of these directors is Drake, who's done a remarkable job in creating a legendary narrative for rap music. 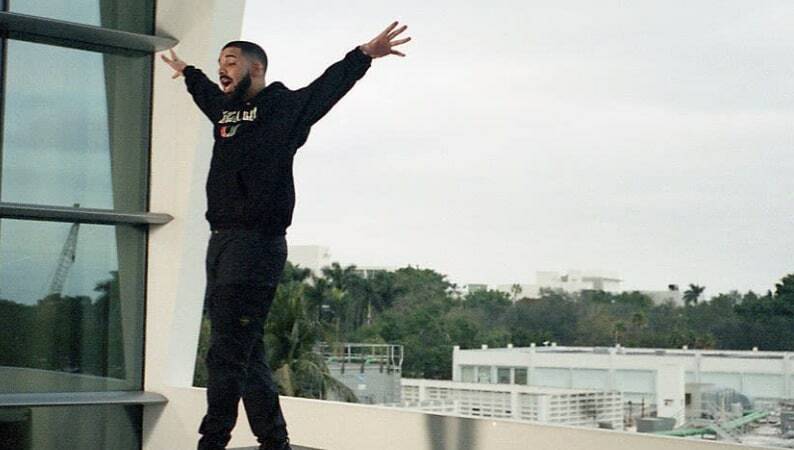 With hip-hop being pop culture in 2018, and the culture being so in-demand thanks to mainstream America adopting many aesthetic choices for varying reasons, Drake, as an architect of this vision, could be seen as the divine figure holding it all together. He's become immortal thanks to his contributions to everything and will go down in history as one of the game's biggest leaders. Maybe that's why his new single "God's Plan" makes so much sense. On the chorus, he seemingly addresses his influence and longevity with one line. "Might go down as G.O.D., yup," he says, confirming his own belief. Judging by his long list of noteworthy backings and what he's currently doing for the genre, we dare to say that he's right.